After a competitive UK pitch last year, Channel 4’s T4 (16-34) has officially unveiled the new 2011 look. The on-air refresh comprises near 20 new robot-inspired idents (those droids can really move…) and an evolved on-screen presentation system. 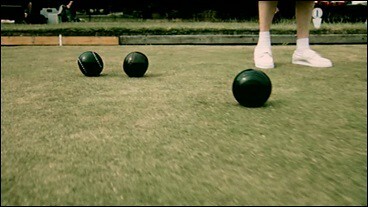 The idents and OSP were developed by London-based Double G Studios. If a bunch of robots can move like this, there’s no reason why you can’t shake your groove thing a little this morning… I’m just sayin’. Here’s a montage of the new idents. And in case you missed it, here’s ABM’s previous feature on “A New Angle to Channel 4 Branding”, which highlights the refresh from late in 2010. A special thanks to our friends at 4. On New Years Eve 2005, Channel 4 launched a redesign that proclaimed to “recapture the boldness and dynamism of the channel’s original logo but in a thoroughly 21st century way”. That distinctive, multi-barred logo was the creation of Martin Lambie-Nairn back in 1982. With Creative Director Brett Foraker leading the Channel 4 team with London-based Rudd Studio, the rebrand picked up near instant international recognition and a multitude of awards. It’s a rather daunting challenge to take a beloved brand and evolve it. If you are one of the creative agencies currently pitching for the big channel rebrand reviews going on at the moment, you know you’re working with a lot of statistical data, research, and oodles of public (and private) opinion. There is a fine line between evolving and devolving, taste and tack. And herein lies one of the exciting design challenges of rebrands of this scope. 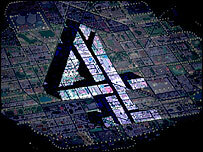 In June 2010, the decision was made to develop another evolution of the Channel 4 brand, first focusing on the on-screen presentation. It was deemed important to keep the iconic logo center stage, but with a need to look at the logo in a brand new way. Rudd Studio was called upon to re-ignite the progressive design aesthetic with fluidity and visualize it in more “oblique ways”. Matt Rudd worked closely with animation director Oscar Gonzalez to develop a “cubist way of seeing the logo”, viewing it from two angles at once. It seemed appropriate for the channel to see things in an unusual way, as the logo remained recognizable, even with only small details of it revealed. Many of the original on-air elements were designed to incorporate video or photographic images. This framing device is heavily leveraged in the newest graphics package which includes 100 1-second stings, with animating textures which contain some stunning photography. Designer/director Sylvie Minois worked closely with Rudd, with photograph credits to Rudd, Minois, and Eleanor Ridsdale. The result is a pretty beautiful evolution of an already strong identity. If you missed the article on the newest C4 idents, you can catch that here, or just view them after the jump. My deets: Twitter, Facebook, LinkedIn, or just email me and say hi. Hannah Montana, Jason Voorhees, and JLS in 3D? Oh yeah. Channel 4 tonight kicks off 3D week, with a special three-dimensional programming lineup and a suite of specially developed 3D promos and idents. Offering up some interesting opportunities to design in eye-catching trajectories, C4 adds that programs are “best viewed in a dark room and watched from a central position at least 1.5m away from the screen.” Glasses are available for free from select branches of Sainsbury’s. A quick look back at MPC’s previous work with the iconic logo, which has been made up of, from amongst other things, storage containers, Tokyo street signs, and a music festival stage. The idents show the channel 4 logo broken down into its nine blocks, subtly disguised as elements found in each environment shown. 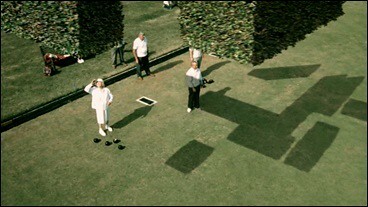 While the blocks are static in each of their surroundings, the first person perspective camera moves through the sequence to reveal the Channel 4 logo at the mid-point. The twelve different locations of these events dictated what the actual moving material was. Scenes included hay bales stacked on a stubbled field, looming pylons trailing from a nuclear power station, road work signs on the motorway and neon hoardings for an American diner. 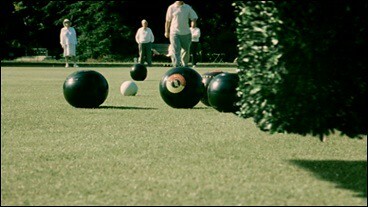 In this scenario, privet hedges glide through a bowling green. In other related news, Ofcom’s PSB is published this Wednesday with Channel 4 and Five clashing over merger plan. Stay tuned. The Simpsons much ballyhooed ident has been running heavily of late on Channel 4. 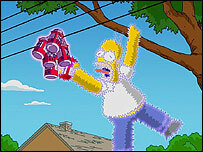 Just proves that an oldie (when it’s the simpsons) is always a goodie. 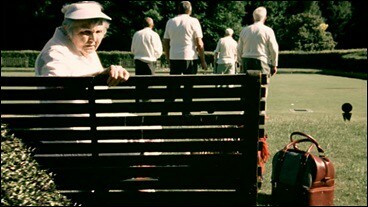 The spot was produced by the team at Gracie Films for Channel 4. What’s not to like about a logo resolve formulated from Homer chasing down some beer? Video reposted for anyone in the US market who hasn’t seen this gem yet.